The Community at Holy Family Manor is a serene environment located on Bellevue Road in Ross Township. The facility is operated by the Sisters of the Holy Family of Nazareth (CSFN), who have been serving families in the United States since 1885. 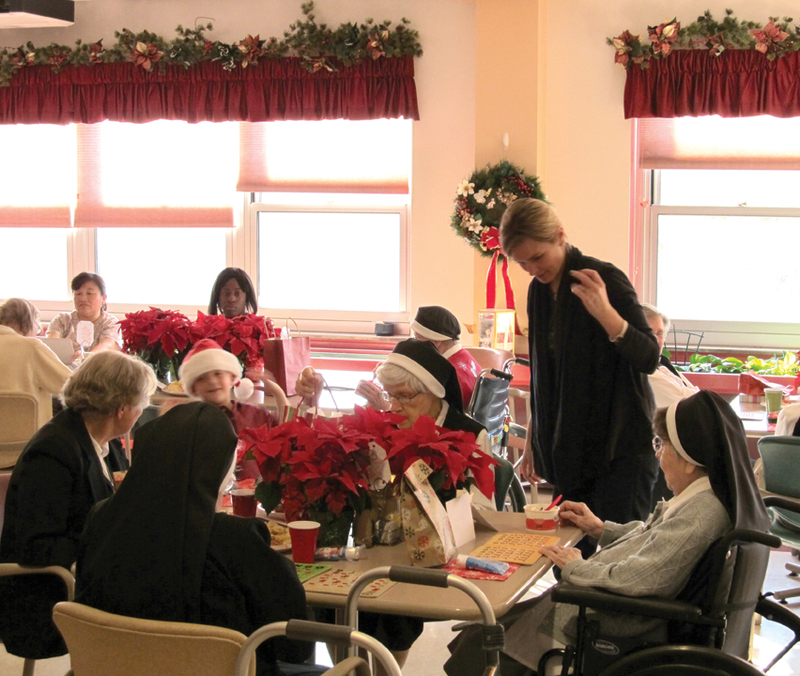 Their personal care nursing home is situated in the Mount Nazareth Center on the campus. For the past 10 years, a North Hills extended family has been making Christmas a little bit brighter for the retired sisters, as well as the occupants of this personal care home. 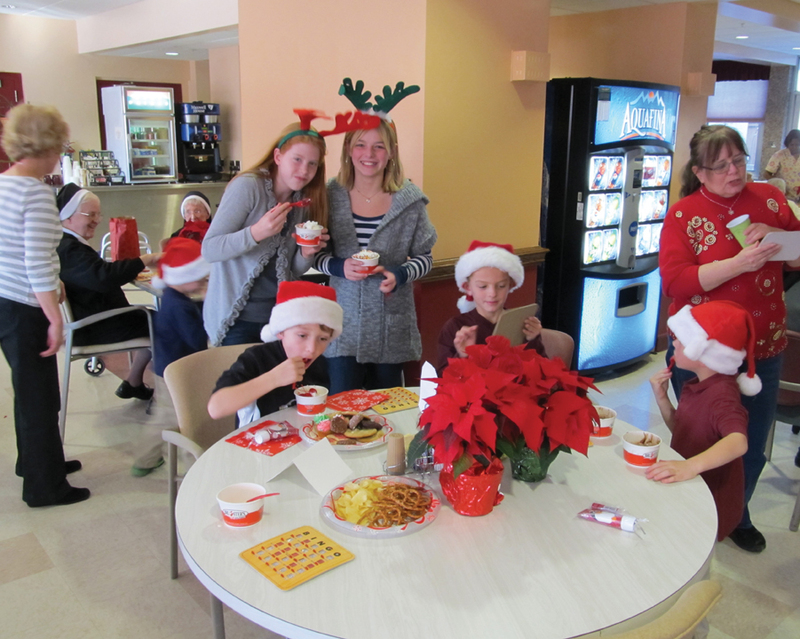 Joyce O’Hare of Franklin Park, along with her brother Richard Zabrowski and his wife Nancy of McCandless Township host an annual Christmas party for the senior residents.